Another night, another Tex-Mex meal. Seriously, I am stuck people. Actually tonight I really wasn't up for cooking anything so I pulled out a meal from my freezer that I'd made months ago. I then realized that I could not remember for the life of me what cookbook I got the recipe from. I had a mini panic attack. I absolutely LOVE this meal. I tore through several of my cookbooks trying to figure out where I had originally got the recipe. Just as I was afraid I had found it online somewhere, my eyes land on my Don't Panic, Dinner's in the Freezer cookbook. Then I started laughing. Panic attack over. Seriously, didn't I just pull this dinner out of the freezer so I wouldn't have to cook tonight? Because I don't want to lose the recipe again, here it is. Sorry, no picture tonight, we dove right in and I forgot to snap a photo. Yes, it is that good. Brown meat in a skillet in oil on both sides. Place in Crock-Pot, Add remaining ingredients and enough water to barely cover roast. Cover. Cook on low 6-8 hours, depending on crock-pot. When beef is tender, remove and shred, using two forks to pull apart. Return meat to Crock-Pot and stir to combine meat and liquid. Meat and sauce can be thickened with flour if you like. Serves 6-8. If preparing for later, let cool. Then freeze in ziplock bag. Lay flat in your freezer. To thaw, open ziplock bag and place in a bowl. Microwave on high in 3 minute increments until warmed through. Serving suggestions: Use as a filling for Tacos, Burritos, Quesadillas or Chalupas. I also like it on top of lettuce for a "taco" salad. UPDATED 11/28/2010: I no longer follow Weight Watchers. When I was on weight watchers, I did lose weight, but I was tired a lot and hungry even more of the time. I lusted after food. I would fight for a bite of chocolate and reluctantly count the points for it. I was frustrated that no matter how hard I stuck to the diet I was miserable, hungry and could never keep it off. I joined weight watchers about 3 times officially and did it from home even more than that. Then I started reading about the REAL food movement. I found the Weston A. Price Foundation that talked about eating healthy, REAL fats. Fat from butter, lard, coconut oil, bacon, olive oil, etc. They talk about NO processed foods, chemicals, nitrates or pesticides. Everyone I've talked to is happy, healthy, full of energy and enthusiasm. They eat great food full of calories, but also FULL of nutrition. Then I met a friend who lost 40+ pounds by following this lifestyle and I decided to try it out. As of this update, I'm down 17 lbs in about two months. I still love cooking but I am not craving chocolate and soda with an intensity that used to drive me crazy. Instead of spending energy on counting points and worrying about starving myself to stay in my limit for the day, I'm sitting down to a meal that was cooked with cream and butter. My stomach is full, my taste buds are tantalized. It sounds too good to be true, right? There are some sacrifices for the diet, but they aren't too bad and I don't miss them too much. I'm on a very low carb diet right now. No pasta, rice, potatoes, etc. No sugar. I do use a bit of honey or molasses if needed, but very small amounts. When I'm at my goal weight, I can reintroduce whole grains that are prepared properly and even desserts. Right now, I'm excited to be satiated and see weight come off so those carbs can wait! So back to Weight Watchers, I'm not knocking the program completely. You can do Weight Watchers and REAL food. But if you can lose weight and not count points then that seems ideal to me personally. Weight Watchers DOES work for some people. And if you are overweight, it is healthier to be at a normal weight than carry the extra weight. That doesn't mean all skinny people are healthy. Some skinny people are nutritionally void, not having enough vitamins, minerals and even fat to build healthy cells. 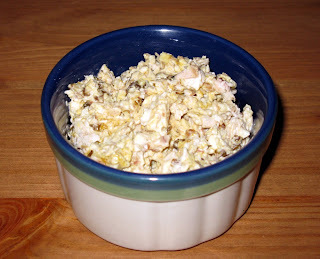 I plan on recreating a lot of my old WW recipes into real food recipes on this blog. If you are on Weight Watchers and it is working for you, then great! If you want to find out more about the Weston A. Price Foundation and eating REAL food, feel free to send me an email! You may have noticed that I have included Weight Watchers points on several of my recipes. I have been on and off Weight Watchers several times over the past few years; currently I am in the ON position again. I wanted to explain the way that I am posting POINTS to my recipes. Not all the recipes on this blog will be Weight Watchers Recipes. For those that I figure out the points for, I'll post them. For recipes that I don’t calculate points on, you are welcome to post the points in a comment for the rest of us. And if I do a total points at the end of the recipe it is because I'm doing a WW recipe that I found already calculated. I seriously have been stuck on Mexican food lately. Or Tex-Mex as the case may be, since I sincerely doubt what I call Mexican is actually served in Mexico. I had some beef thawed out in the refridgerator that I wanted to use for tonight. I asked John what he wanted for dinner and he said beef tacos. Fine by me and super easy. Since I had run out of Taco Seasoning packets, I had to season the hamburger myself. Here is my version. In a skillet over medium high heat, sautè the chopped onion until it starts to caramelize. Add garlic and the ground hamburger meat and continue cooking until almost all of the pink is out of the meat. Add the tomato paste and seasonings. Continue cooking until there is no more pink. Serve over corn tortillas and whatever toppings you prefer. If you have a gas stove, turn the burner on low and place a tortilla directly over the burner. With tongs, slide it around the flame. This is a yummy way to warm your tortillas. Gives a nice toasty flavor and keeps them soft. Serves 2, but easily doubled. This is another toddler friendly recipe. While delicious enough for adults, it was formulated to get my girls to eat certain things. Prunes for instance. Actually, they like prunes, but this is another way to serve them. Preheat oven to 375º. Using a cheese grater or food processor grate apples. I leave the skins on. Put the grated apple in a large bowl. Add the water and lemon juice. Add the rest of the ingredients. Mix well and until all the flour and oatmeal is moist. Sprinkle additional water if necessary, but the apples provide a lot of moisture. Spray a 9x9 brownie pan and pour mixture in. With your fingers, press the apple mixture firmly in the pan. It should be about 1 inch thick. Bake at 375º for 25-30 minutes. Let cool completely. Cut into 1" squares. Spread out on a cookie sheet and freeze. Once frozen, transfer to a ziplock bag. Pull out how many squares you want to serve and microwave for a few seconds to thaw. Might work frozen for teething toddlers, but I haven't tried it. This is very tasty vegetarian dish that you can have and not miss the fact that there is no meat! It's also very low calorie and to make it even more perfect it is a fast, easy meal to prepare! Carefully split open your squash. With a spoon, carve out the seeds and discard. Season with salt and pepper. Drizzle the cut surface of the squash with olive oil. Place both halves in a casserole dish that will fit in your microwave. Loosely over with saran wrap. And cook in the microwave for 15 minutes. Alternately you bake the squash in the oven at 375º for 45 minutes. To check for doneness, poke with a fork, it should slide in the squash very easily. A larger squash may require additional cook time. Carefully remove squash from dish. With a fork, scrape the sides of the squash. You will see "spaghetti" strands start to form. You can serve the dish in the squash, or scrape the "noodles" into a bowl. Top with marinara sauce and cheese. Serves 2-3. Sautèd mushrooms and zucchini in olive oil. Hello, I'm Julie. My charming sister-in-law invited me to join in here at the FC and share my thoughts on the great landscape of culinary splendor. Or maybe just to talk about how much I love food. I'm a big fan. Of my sister-in-law and of food. I eat practically every day. And if it involves chocolate, bonus points. My husband, Chris, and I (and the kiddoes) have logged many hours watching the Food Channel and aspire to visit as many restaurants profiled as possible. I try to take a little of what I see there, mix it with what I've learned from the great ladies in my family, and have a little fun in my kitchen. I love going to high tea. Partly because you get to spending afternoon eating tiny little girly food you didn’t have to prepare yourself. In courses. Fun. It sounds high-falutin', but it doesn't have to be. The teas I’ve attended are not the fancy-schmancy types with linen napkins and perfect pinky position. I don’t need to be more wound up than the caffeine makes me. One afternoon with my best girlfriend, we were served 4 bitty sandwiches of different varieties. My favorite was what was obviously chicken salad, but like no chicken salad I’d ever had before. This was sweeter and spicier and chunkier. It took me awhile to discern the flavors, but this is my version of that salad. Mix all ingredients together. Use more or less mayonnaise to reach your preferred consistency. This is a perfect pancake for a toddler. These pancakes are delicious enough that I would eat them even though they don't have any sugar. My twin girls, Madeline and Isabelle sure love them! Mix dry ingredients. Then mix in wet ingredients. Stir just until batter comes together. Cook in a large skillet or on a griddle. I made big pancakes this go around, but usually I make little mini dollar size pancakes. Either way, when you have made them, let them cool on a rack. Then place on a cookie sheet and freeze. Once frozen, transfer to a zip top bag. You can pull out how many you want to cook and reheat in your toaster oven. Makes an excellent breakfast! This is one of my easy go-to meals. It is fast to make and tasty. I had it in mind for tonight and then I couldn't remember if I had any of the ingredients. My original plan was to make shrimp & mushrooms with a garlic butter sauce. I was half way through cooking the dish when I realized I didn't have everything I needed to make the sauce so that will have to be for another day. The marinara sauce is just as good. My brother-in-law Cody, raises pigs. Somehow, John and I went in with his mother to buy a pig from Cody. So my deep freeze is full of pork chops and sausage. Very tasty I might add. Yesterday I put some pork chops in the refrigerator to cook for today. Mix chili powder, brown sugar, cumin, garlic seasoning, salt and worcestershire sauce in a small bowl until it becomes a paste. Spread on pork chops. Marinate overnight or for a couple of hours. Set broiler to High. Broil for 15-20 minutes or until internal temperature reaches 165º. One of my favorite foods of all time is an awesome bowl of Chicken Tortilla Soup. I love the aroma of the spices, the gooey cheese, the crunch of the tortilla chips. I love being decadent and adding chopped avocado and a dollop of sour cream. Makes my mouth water any day of the week. This, is not that. But it is a close healthy version of my favorite soup. It's one of my versions of Vegetable Tortilla Soup. I don't make my version vegetarian, since I use chicken broth, but if you were to substitute vegetable broth, it would be a great vegetarian dish. Another great thing about this dish is that it is a chop & drop. Get the soup pot going and add to it as you chop your ingredients. Start with a good size soup pot. Put on medium/high heat and spray with cooking spray. Dice onion and garlic. Dump in pot. Chop your zucchini, carrot and bell pepper. Add each ingredient to pot as you finish chopping it, stirring the pot frequently to prevent vegetables from burning. Add in the tomato paste and stir to incorporate. Add corn. Sprinkle in the cumin, oregano and salt to taste. Open the tomatoes and beans and add them to the soup. Next, from a can of Chipotle in Adobe sauce, pull out one or 1/2 of one chipotle pepper. Mince and add to the pot. These peppers are very spicy, so start out small and add more heat as you like. I place the unused portion of peppers and sauce in a ziplock bag and freeze. When I need to use it later, it is easy to break off however much you need. Last, add the chicken broth and simmer for 30 minutes to an hour. Serve with toppings. Makes about 6 bowls of soup. It's funny, the first three meals listed on the Frickin Chicken do happen to be chicken. My sister is here this weekend. I was going to make some pork chops for dinner, but my sister's diet does not include pork chops. She'll eat pork, but not pork chops. But that is a whole other story. So, in an attempt to come up with a quick dinner that everyone would enjoy, I went to an easy favorite. Chicken Taco Salad. Actually, I make the chicken meat and then leave it up to each individual to plate in the way they choose. I made a salad, my husband John, made tacos and my sister made a wrap that had ranch dressing on it. Chop onion and garlic. Sautè until they start to caramelize. Add chicken and seasonings. When chicken is cooked through, add the packet of Taco Seasoning. Add water. Stir. Simple really. I make a dish with round steak that John and I love. I didn't have any round steak available today so I thought I'd try it with chicken instead. Now that I'm typing this (after I finished cooking the dish) I remember a step that I forgot when I make it with the steak. It should still turn out okay. When I make the steak version, I usually lightly dust the steak with flour and then brown it in the skillet. Today, I had frozen chicken breast and I wanted to cook from frozen without defrosting. I was able to make this ahead of time while my twins were taking a nap. At dinner time, I'll just reheat it. Sautè onion and garlic until onion is translucent and starts to brown in a large skillet. Add in tomato paste and work with a spoon until incorporated in with the onions. This helps develop the flavor of the tomato. Quickly add the canned diced tomatoes juice and all. Stir to mix in the tomato paste. Add drained and rinsed green beans and the chicken breasts. Add oregano, salt and pepper. Cover and cook on low until the chicken is cooked through. Add potatoes and simmer an additional 5 minutes. Serves 2. A couple of weeks ago, I co-hosted a baby shower for my sister-in-law Dana. At that shower, I served a cheese ball. It had a layer of soft cheese, a layer of olive tapanade, a layer of cheese, a layer of roasted red bell pepper tapanade and another layer of cheese. Now, I have a jar of these two tapanades in my refrigerator and I was trying to think of a creative way to use them. This idea was percolating in the back of my mind for a couple of days. It turned out pretty tasty! One day, a couple of years ago a group of friends and I went out to eat. All these years later, I'm not sure where we were, but it was one of your standard American Eateries. Something like a Chilis, Cheddars or perhaps it was Friday's. The menus were passed around and decisions on what to eat were made. One of my friends, who was on a diet that particular night, asked the waiter if she could have a baked chicken breast and a side of steamed vegetables. The waiter informed her that it was not on the menu and she could not order it. I'm sure she ended up ordering something that night, but on the ride home that evening we could not stop laughing. She said, and I quote, "All I wanted was a Frickin Chicken. Just a plain old chicken breast, how hard is that? Any restaurant should be able to serve up a piece of chicken!!" By the time we were home, we had sketched out a restaurant business plan. We were going to open up The Frickin Chicken where you can order any kind of chicken you want. Chicken Cordon Blue? Fried Chicken? Sauted? Curried Chicken? All you have to do is ask. Your wish is our command. We then decided that any type of chicken should always be served with potatoes. To make our lives simpler we were only going to serve one type of potato per day. It'd be the special. That's it. Our restaurant was going to be famous. You'd get a chicken dish of your choice, the daily potato and a side salad. Our waiters were going to ask our customers, "What kind of Frickin Chicken do you want today?" So, that is how the Frickin Chicken came about. Or, didn't come about as the case may be. Many times over the past couple of years, I have thought of that night. I always said, that if I was to open a restaurant one day, it would have to be the Frickin Chicken. So, in honor of that, here is my food blog. No, it won't all be chicken, but hopefully it will all be good.